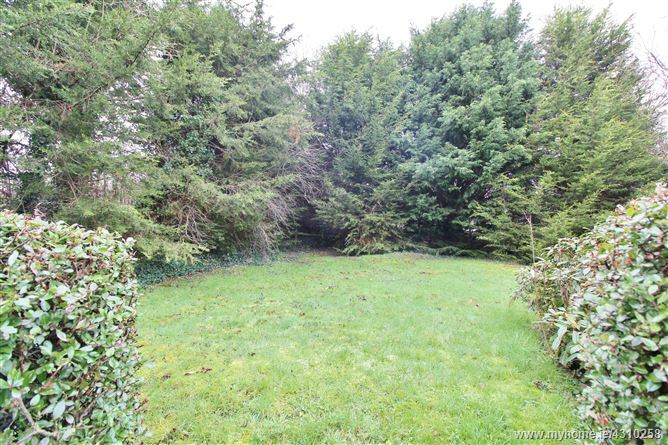 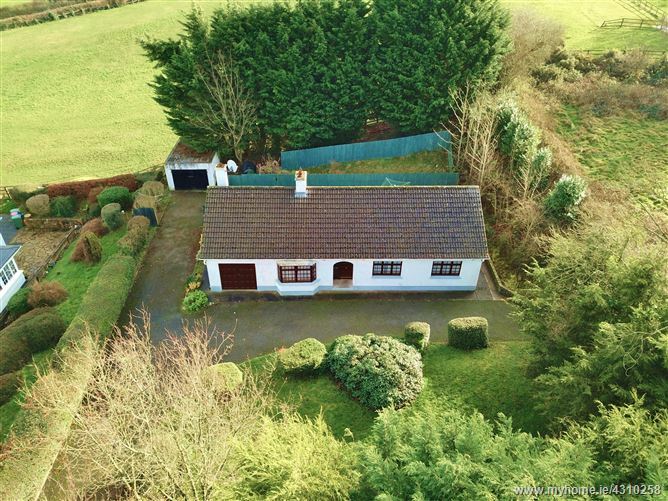 Standing on a fine, mature site of c. 0.5 acre /0.2 hectares, this beautiful detached bungalow extends to c. 92.03 sq.mts/ 990 sq.ft.. 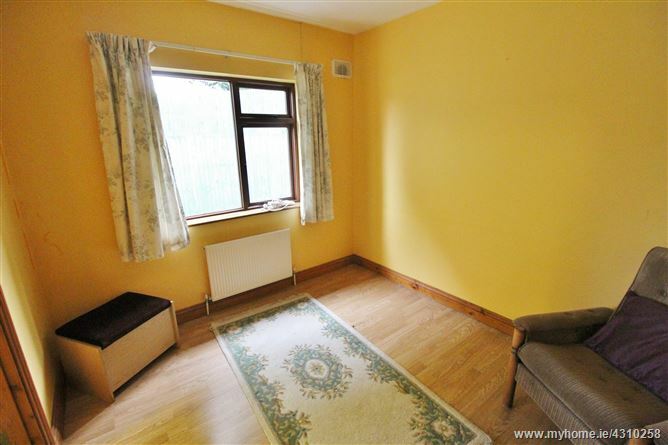 The accommodation comprises of a large entrance hall, two separate living rooms, a spacious kitchen, family bathroom, three bedrooms and a large attached garage, accessed via the utility room. 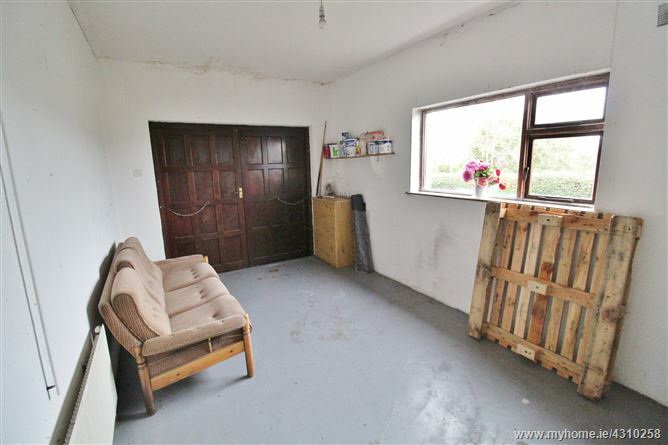 This garage, extending to c. 15.7 sq.mts/ 168 sq.ft., may be suitable for conversion to living accommodation. 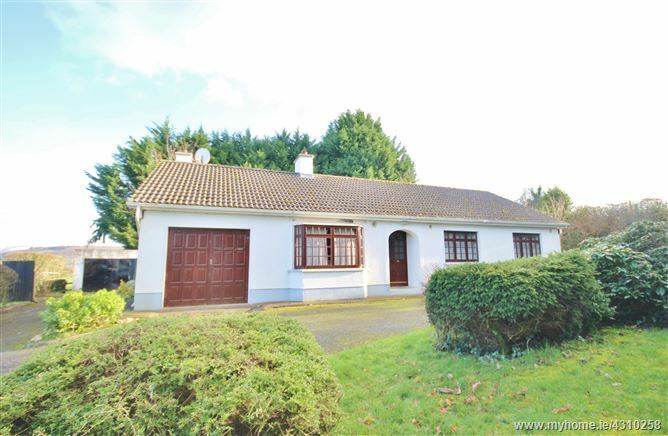 There is also a detached garage c. 20 sq.ms / 215 sq.ft.. 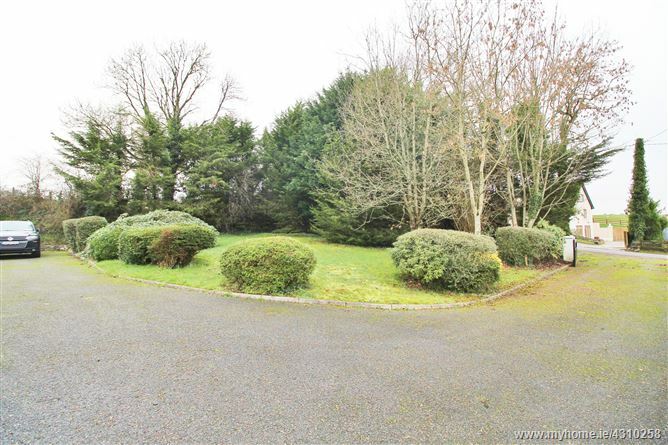 The property benefits from a private drive way with adequate parking. 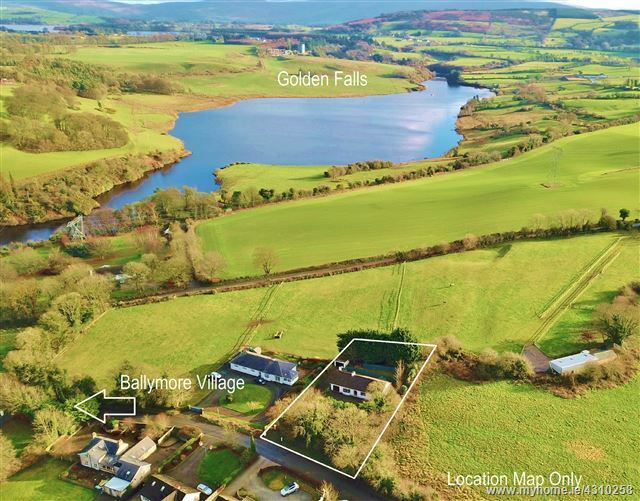 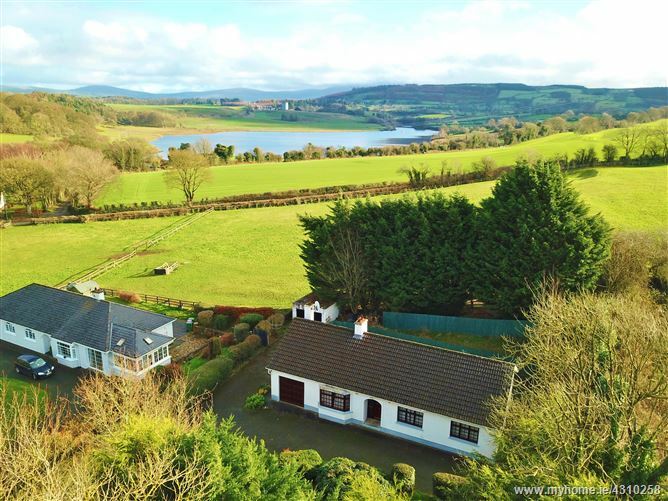 Views from the property are second to none, The Wicklow Mountains & Goldenfalls Lake offering an ideal backdrop to the rear of the property. 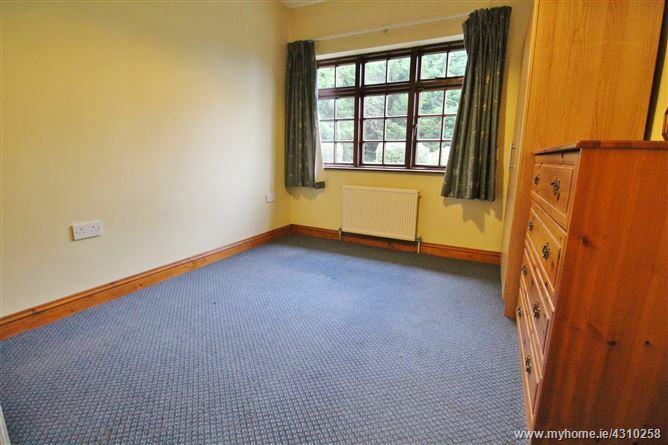 ACCOMMODATION: Hall: 5.2m x 1.0m + 1.68m x 2.51m Wooden Floors. 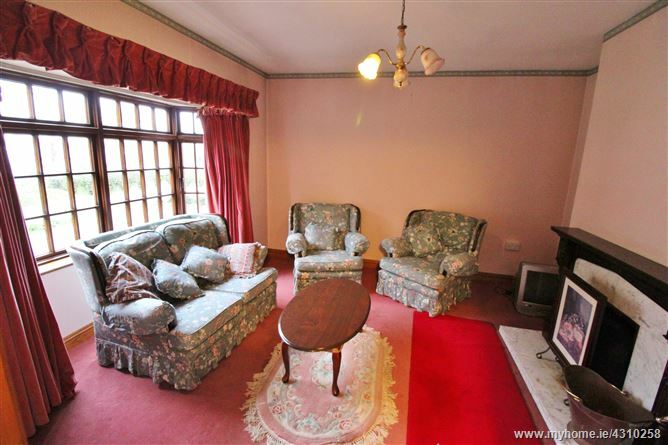 Living Room: 3.78m x 3.68m Open Fire, Bay Window, Carpet/ Curtains. 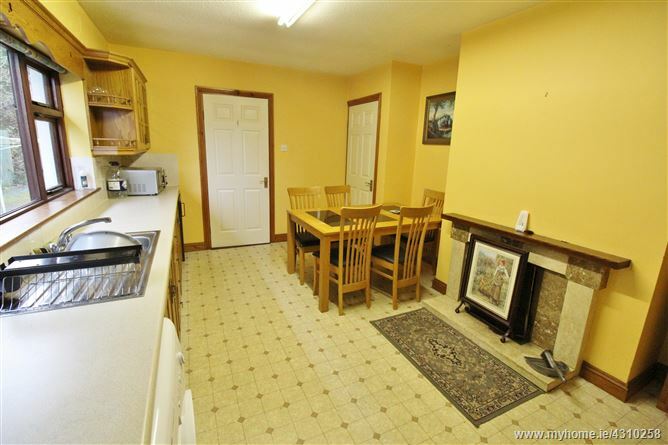 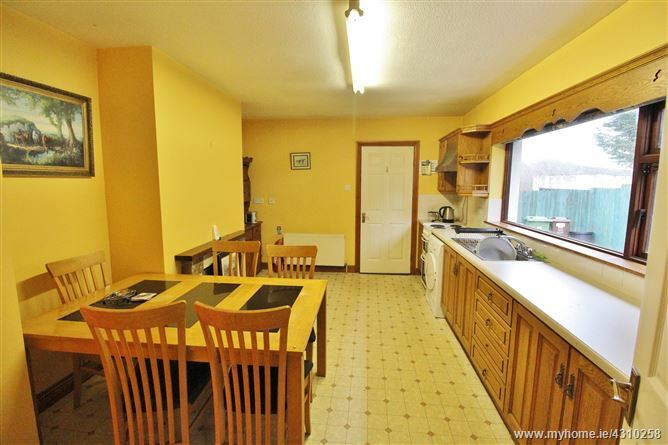 Kitchen: 4.8m x 3.48m Open Fire, Fitted Kitchen Units, Large Window over sink. 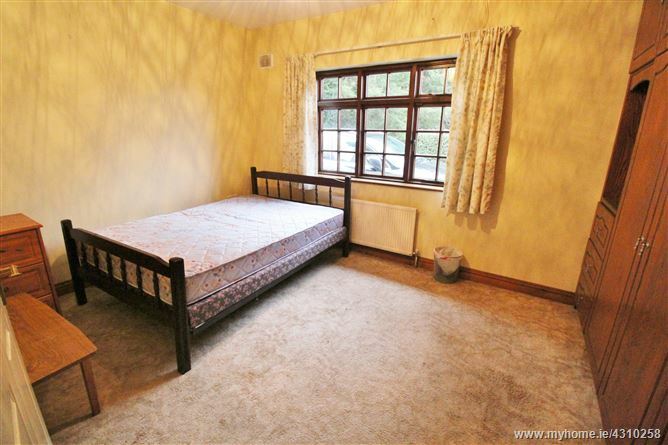 Bedroom 2: 3.07m x 4.14m Carpet/Curtains, Fitted Wardrobes. 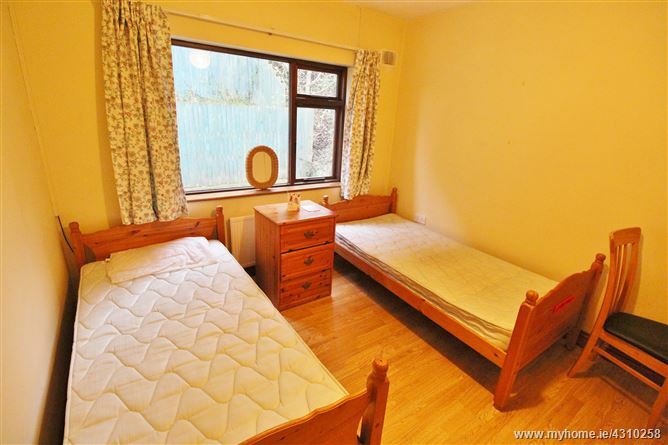 Bedroom 3: 3.0m x 3.03m + 1.04m x 1.78m Wooden Floors, Fitted Wardrobes. 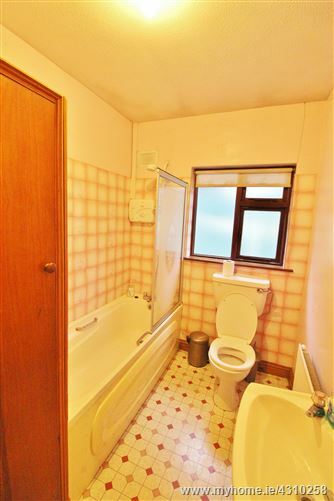 Family Bathroom: 2.15m x 1.81m W.C, W.H.B, Bath/Shower. 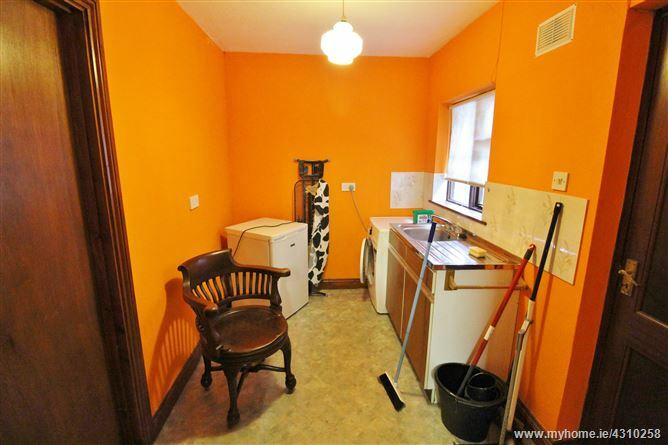 Utility: 3.02m x 2.09m Plumbed.